3. 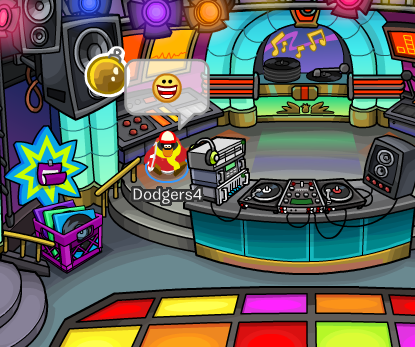 Head into the Dance Club and click on the Ornament pin which is located on the stereo. 4. Congratulations you found the Ornament Pin! You may place it on your player card if you wish. Do you like the new pin? I really like it because I love ornaments! Tell me what you think about the new pin in the comments below.